Candor (aka Flying Candor) is already house-trained, purebred, up to date with shots, good with dogs, and good with cats. Candor came to KyG at 3 years old. He is cat safe. 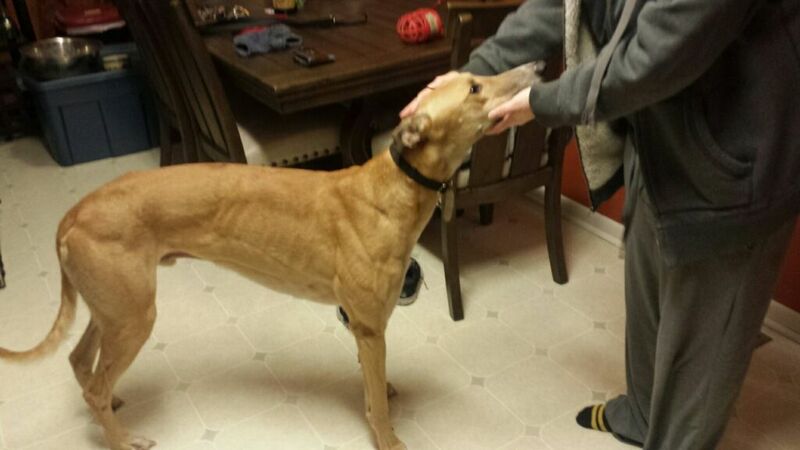 His volunteer caregivers are teaching Candor to be the retired racer he was destined to be. Kentucky Greyhounds Placement adoption area is loosely defined by the triangle defined by Louisville KY (including Southern Indiana) to Frankfort, KY and surrounding counties.